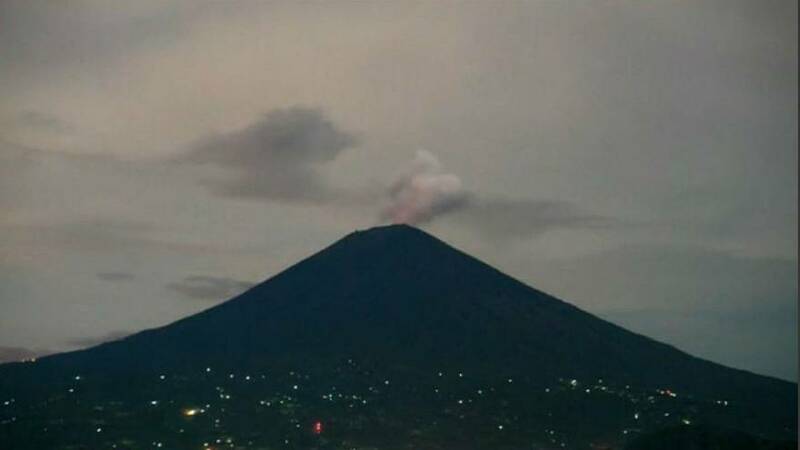 A volcano in Bali spewing ash day and night has been captured in a spectacular timelapse taken by local photographer Wayan Kartika. Kartikia started capturing the view of the greyish-white plumes of ash rising from the active volcano's crater since Sunday (December 10). The 3,000-metre Mount Agung volcano, known for its violent eruptions, has increased its activity in the last few weeks. The volcano's eruption in 1963 killed more than a thousand people.